So a few weeks ago I got an Instant Pot from my boyfriend. I'd never really heard about one before, but of course I'd heard about slowcookers. And the Intsant Pot can both work as a slowcooker but primarily as a pressure cooker as well. It makes cooking really easy. At first I thought it was gonna be tricky and time consuming to learn how to use it and to cook with it, but now I absoluelty love it. 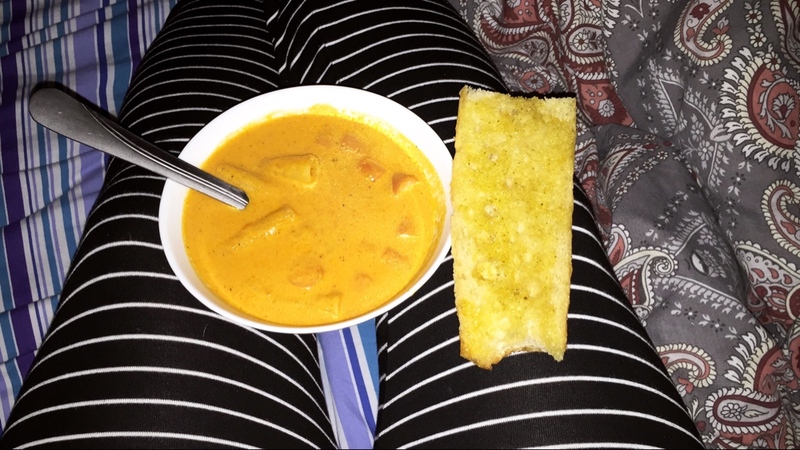 So far I've tried cooking pasta in it, pulled bbq chicken, smoked whisky and coca cola pulled pork and tonight I also made my favourite tomato soup. 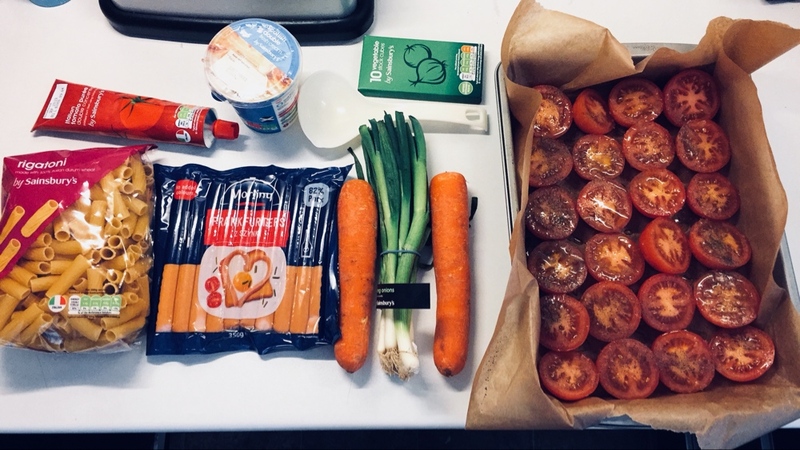 I'll attach the recipe for the Tomato Soup here, it's originally from the Swedish chef Per Moberg but I've made a few adjustments that I think make it even better. But of course you can make this recipe in both an Instant Pot or on a normal stove. - I cut the tomatoes in half and put them in a tray with olive oil, salt flakes and pepper for 1-15h on 100 C to roast them to get maximum of flavour from them. - Cut the carrots, the onion, the leek/spring onion and press the garlic. Sauté the vegetables in oil until they get softer and possible a slight color, add the brown sugar and then add the vegatable stock and spices along with the soy sauce, vinegar and tomato puré. Let boil for 30min on the stove, or if using an Instant Pot then add the tomatoes and pressure cook for 5 minutes with 10min natural release. On stove: add the tomatoes and use a hand mixer to get the prefered consistancy. On Instant Pot: after natural release, open the lid och use a hand mixer to get the prefered consistancy.